Ackers Pit is a small, club-owned fishery in located in Stockton Heath, approx 2 miles south of Warrington. This area is a popular local beauty spot and offers accessible fishing for the members. In 2007, significant works were undertaken to drain, desilt and re-landscape the pit. New pegs have been built and the fishery was re-stocked and re-opened in 2009. Despite the desilting, Ackers is still a shallow fishery. 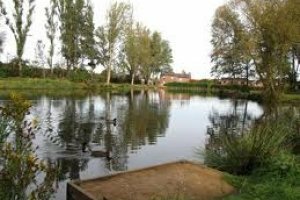 Once known as a prolific roach fishery, the club is trying to restore this popular pool to its former glory. The lake has been stocked with roach, perch, bream, rudd, crucian carp, tench, and most recently approx 200 mirror carp, averaging 2.5lbs. Catching fish at Ackers is easy. Simple light float tactics are best, and baits like maggots, casters, bread and corn all score well.